If you’ve been following my recent monthly online income reports, you’ll know that I’ve had a fairly successful string of months. Would I be able to survive on this income or support my family? Probably not. But it’s definitely a step in the right direction. Now while I am more than pleased to have reached this milestone, it’s a matter of sustaining that and growing that. 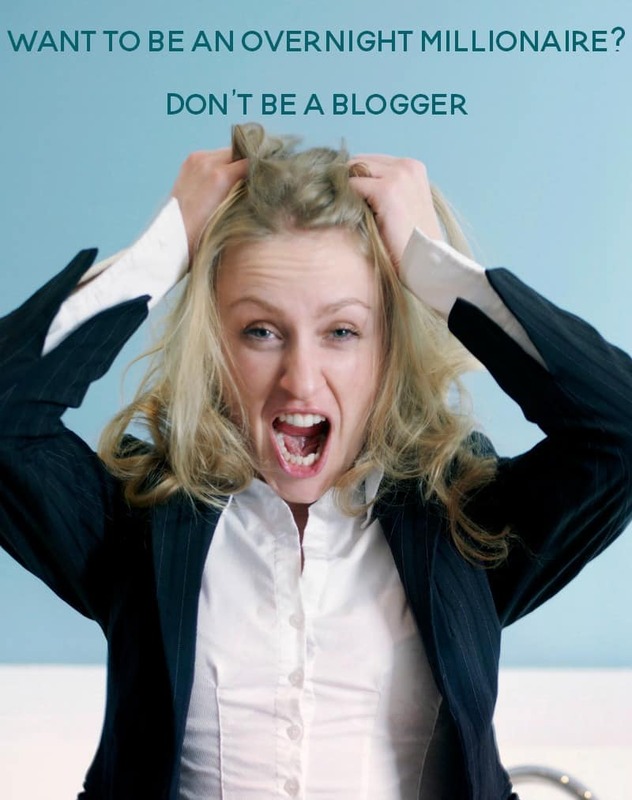 Blogging, however, can be an unpredictable and stressful game. One month may be amazing and the next month could be dismal. And with the amount of hours that goes into it? Sometimes I wonder if it’s really worth the effort. To be perfectly honest with you, it wouldn’t be. If I were just in this for money and making a profit; I would have sought out something else. Don’t let me discourage you from starting a blog though. It is entirely possible to be successful and to make money from blogging. Just don’t expect to become an overnight millionaire. If you’re thinking about starting a blog just to make money- please stop reading this post. Or if you are expecting to be an overnight millionaire with your blog- please stop reading this post. Blogging is a marathon, not a sprint. It will test your patience and make you question your sanity. Very similar to having children. But blogging can also be incredibly rewarding beyond money. When you can make personal connections with your readers and followers on social media. When they become more than just that person who comments on a post or retweets a tweet. You can share a story and make a genuine connection? That is when blogging is one of the most satisfying things in the world. The money, of course, is also a plus. But it bears repeating: do not start a blog if your sole purpose is to make money. Now, if you’re certain that this crazy, hair pulling, late night endeavor is for you? By all means, proceed. First, please understand this- there is no universal monetization method. What works for one blogger or group (niche) of bloggers won’t necessarily work for another blogger or niche. 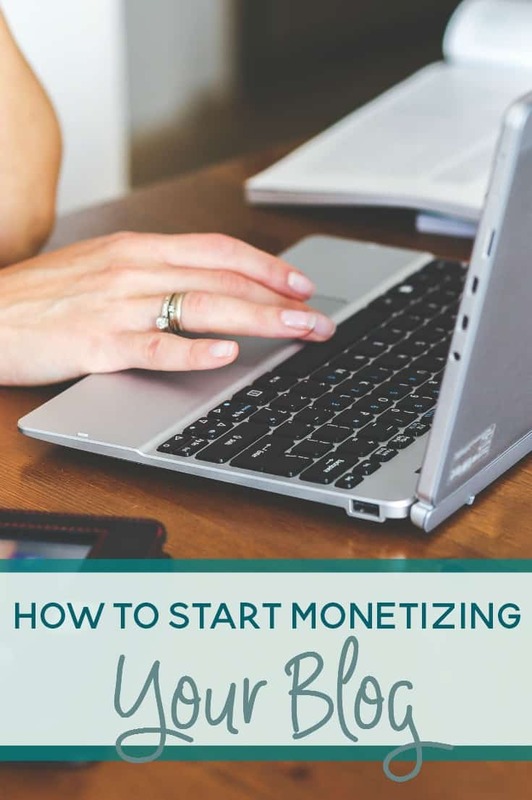 There are, however, multiple monetization methods to consider if you want to make money from your blog. Most, if not all bloggers, will use a combination of several methods. It’s the smarter thing to do, quite honestly, and it definitely helps to have multiple streams of income coming in. One of the easiest to set up are ads. This could be independently through multiple sources such as Sovrn, Media.net, or AdSense. Or you could work with an ad network to manage everything for you. Examples of ad networks include AdThrive, Monumentric (was The Blogger Network), and Mediavine. And though people will always complain about ads, I feel that it’s one of the easiest ways to make money on your blog. Now, how much you make will also depend on the amount of traffic you receive. Higher traffic generally equates to more ad revenue. But this may not always be the case. If you have an audience that’s more engaged and more likely to click; your traffic may not matter quite as much. Equally important to the traffic and numbers game is the placement of your ads. This is my favorite and preferred method (so far) when it comes to making money. You can do this independently by reaching out to brands and companies that you use regularly or you can go through a blog network. Some networks may have requirements before joining while others may not. I’ll get into this further when I talk about my favorite networks. Pay can vary for sponsored work through a network and the amount of promotional work that you put in will also vary. Sometimes you may question why you agree to the added stress of sponsored work; but I do enjoy it. 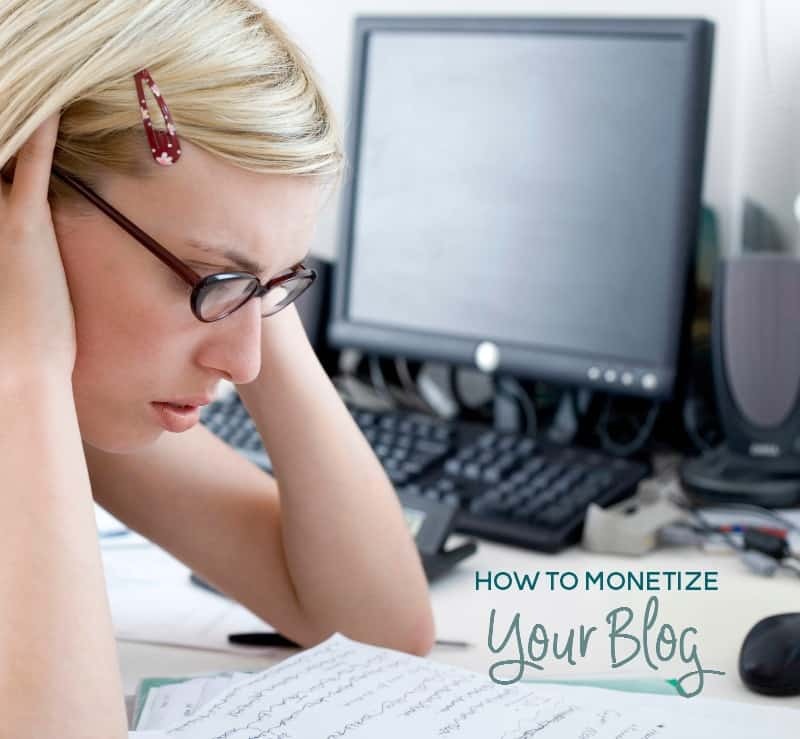 This is probably another easy way to monetize your blog. Maybe even easier than ads in some ways. In fact, these two links coming up? Yup, those are affiliate links! Companies like ShareaSale and Amazon make it easy for us bloggers to promote our favorite products. Affiliate links are one of those things that I do need to be more mindful of and get my spreadsheets in place. You can also join affiliate programs for fellow bloggers in your niche to earn money. This usually falls into the “passive income” category. Which, I’ll say this much, passive income is a joke. Sure, at some point after you’ve set everything up maybe it is passive and on auto-pilot. But there’s a lot that goes into promotion in the beginning and every so often to get your products in front of new eyes. So it is truly passive? Yes and no. Products and courses can be sold directly through your blog or through a third party site such as Etsy, TeachersPayTeachers, etc. It really does depend on the product and the audience that you’re selling to. You can put your eBooks, for example, on places like SendOwl, GumRoad, eJunkie, and Amazon. Bloggers like Melyssa Griffin are incredibly successful monetizing through courses. Just check out her June 2016 Income Report. You can also use your blog as a hub, of sorts, for services that you may want to offer. Things like coaching, consulting, freelance writing, editing, copywriting, or design/development work. If you’re in a network marketing program, you can also integrate your products into your blog. Kaylene of This Outnumbered Mama also weaves some of her products into her online shop. I will repeat that yes- it is entirely possible to make money with your blog and through blogging. Just don’t expect to be an overnight millionaire. I’ve been blogging for over 4 years now and still don’t make a whole lot. I think truly successful bloggers are the ones who have a product that they sell along with their blog income. Agh… yes, this title of your post is true! And funny! I think one has to really think why they are doing a blog first. Then they need to figure it out step by step. Sometimes happens “overnight” – but most of us take it day by day! Super strong advice. I blog as a hobby and if some money comes my way, I consider it a bonus! Thanks for the insight. Wait I am not going to be a millionaire!? That does it – throwing in the mouse now. LOL For me it is just a little bit extra. I enjoy it. That’s all that matters, right? Having a blog takes time and patience and well, money. It’s a long process going to the part where you’re earning enough to live off it. You make a lot of good points. We definitely have to take it day by day and blog post by blog post enjoy what we have and remember why we do it! 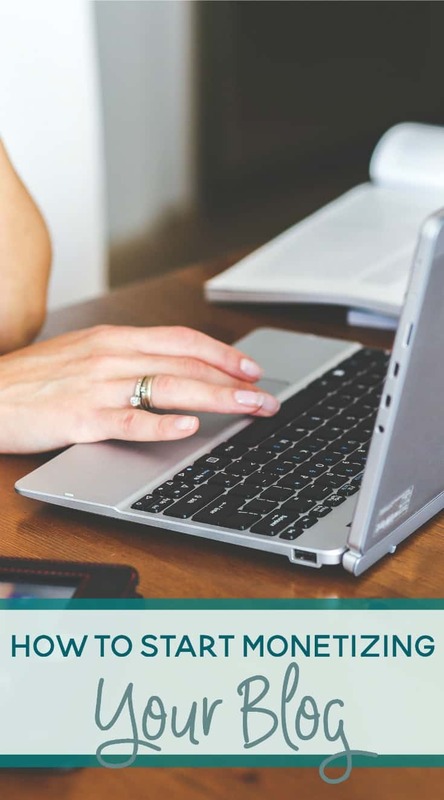 Great advice and tips for new bloggers or bloggers like me not sure on how to make the move to the next step. It’s so true, blogging isn’t “easy money.” It takes a lot of hard work and effort and research in order to succeed. It’s also important to diversify your income. I’m hoping to create e-products soon but ads and sponsored posts are my main source of income so far. Blogging is definitely a long term play and most don’t become millionaires. You can earn a nice living though, but it is a LOT of work. I feel like I’ve sort of given up on the monetization piece. I’m writing for myself now and hopefully people like it enough to come visit and share. Writing makes me happy – with or without the money. HEHEHEHE it’s funny when you tell people you’re a blogger! They either think you’re rich or you make 0 dollars! Now that you can phisically see I make money off of my site people assume I’m loaded lol… truth is I make just as much as probably an assistant manager at the mall lol….maybe one day I will strike it rich! Oh man it really does require so much work to monetize a blog. Ads are nice, but really only work if you have a ton of traffic. I love the idea of creating your own content. Then you get the full profit. Love the title of this post. Seriously. Very very few will make a great living blogging. Maybe it’s more than I think. I do ok and more importantly I love blogging. I have seen some people say they are starting a blog with the intention of making money. I can’t help roll my eyes, because I know they are in for a rude awakening. Most bloggers didn’t start a blog in hopes of making money… it just kind of happened along the way, you know? I blog for fun and if one day, I made tons of money off of it, cool. If not, it doesn’t bother me either, because my blog isn’t the type that is going to make lots of money. Absolutely yes! You need to have passion because like you said, money won’t come overnight. I think being any type of blogger takes a ton of hard-work, dedication and time. If you’re not willing to put these three elements in, you’re not going to get much back. I think it’s great that you’re shining a light on this; there are so many bloggers that get discouraged about progress and/or hold their work up against the work of someone who’s been at it awhile. After 8 years of having a blog, I can relate completely to your post! Do not become a blogger if you want to be a millionaire. I suggest good stock broker for that! JK but seriously when I talk to people about making money blogging… they say things like oh I should start a blog so I can do that… It’s definitely worth it but not easy and it really doesn’t happen over night! This is such good, solid advice for new bloggers. It is definitely a lot of work to make a blog work, and no matter how hard you work, it takes time. Unless you are one of the lucky few who hit the Blogger-Lottery, nothing happens overnight.